Hunting Harry Potter’s Heir | Tolle, Lege! Publishers and booksellers are scrambling to find the next blockbuster book (or, preferably, book series). Hollywood studios are breaking their heads finding the next book (or, preferably, book series) to torture into a big-budget bigger-grossing bigger-gag-inducing movie franchise. Booksellers that have been hard hit by the recession and the digital revolution have seized on “The Night Circus” as a potential cure for lackluster sales in a post-Harry Potter world. To nurture a new fan base, bookstores across the country are planning publication-day parties that resemble big-budget film premieres. Some are bringing in magicians, jugglers and stilt walkers and serving popcorn, cider, candied apples and other carnival fare to re-create the atmosphere of the book. “It’s perfect timing because the last Harry Potter movie’s just come out, and vampires are a little done,” says Christin Evans, owner of Booksmith in San Francisco, who has recruited a contortionist, a clown and a juggling magician to perform when Ms. Morgenstern signs copies there on Sept. 16. The global, multimedia marketing campaign boosting “The Night Circus” certainly seems better suited to a Hollywood blockbuster release than an unknown author’s debut novel. In Sydney, Australia, Random House is throwing a publication-day party with jugglers and Tarot-card readers, with a planned Skype appearance by Ms. Morgenstern. In the U.K., Random House hired the makers of Echo Bazaar, an online game with about 100,000 subscribers, to create an interactive narrative game based on the book. On Sept. 2, the publisher will host a pop-up circus event with fire artists and stilt walkers in front of a Foyles bookstore in London. Allow me to take this opportunity to mention this is a book for adults. As an adult, I’m pretty sure I know how adults make decisions about what books they want to buy. Like, they hear about a book and say, “That sounds relevant to my interests, I think I’ll read that,” and then they get it? Am I just totally out of the loop, and everyone else is making carnival-based book-buying decisions? That must be it. I’m sure it’s just me. Normal people need contortionists and clowns and fire-eaters to take the plunge on that $15 purchase. To clarify, the carnival bit does fit in with the book. In the story two young magicians are pitted against one another by their fathers in some type of 19th-century Night Circus Magician Death Match (maybe not death, I have no idea), but then they fall in love, and uh oh, right? Look, I know I’m being flip, but if Morgenstern was the reincarnation of Virgil and The Night Circus was the next great epic of the Western world, the guys juggling bowling pins next to the face-painting booth under the tent in the Barnes & Noble parking lot might still set me against it. Of course, I don’t wish any ill will or lack of success on Ms Morgenstern. She didn’t ask Doubleday and all the other dummies to be ridiculous about her book, though she’s certainly cashing in on it and probably isn’t too disappointed, but she’s a first-time novelist and it’s not like they’ve had time to corrupt her presumed artistic integrity. Plus, I’m probably just jealous. Not that lack of success would much hurt her; according to the WSJ she has a hand-painted set of tarot cards she wants to sell, so I guess if the book flops can always fall back on that. Good luck, Erin Morgenstern! In the movie Martian Child John Cusack’s character is riding the success of a blockbuster sci-fi novel, at the end of which the main character died. In one scene he’s trying to explain to Anjelica Huston, his publisher, that he wants to do some other project. She screams something like “I don’t care about your artistic integrity, I want Harry effing Potter in space!” That’s what this reminds me of. All of this hoopla makes me wonder what it takes to get something published. Does literary style, character development or complexity of the plot play a role in the choice or is it simply the book’s adaptability to the “silver screen”? When Hollywood succeeds in turning a novel into a hit movie while remaining true to the original story, was there much depth to the story in the first place? Despite concerns about reading levels and attention spans, action and dialogue comprise the basic substance of many (but certainly not all) current children’s books, an indication that publishers know superficiality sells. It is a shame that tripe (whether or not The Night Circus is tripe) gets packaged and sold to huge fanfare. It’s sad you have to hunt for Flannery O’Connor but can buy all of Mary Higgins Clark and Nicholas Sparks in your grocery store’s magazine aisle. But publishing houses are soulless corporations out to make a buck, even if they’re soulless corporations that produce something we happen to enjoy. Meanwhile literary artists will keep writing. Although while this book and its marketing campaign are ultimately inconsequential, part of me kind of hopes it is, to quote H. L. Mencken, a real literary turd. 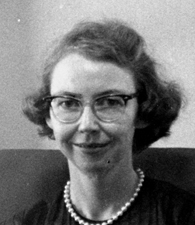 This entry was posted in Consumerism, Criticism, Fantasy, Fiction, Meditations and tagged Erin Morgenstern, Flannery O'Connor, Harry Potter, Mary Higgins Clark, Nicholas Sparks, The Night Circus. Bookmark the permalink. I don’t understand why people think we need an “heir to Potter”. It isn’t like the Harry Potter series has run it’s course. As far as new books or films being released, yes. I think the beauty of books (more so than films, though some may disagree) is that they continue to live on for years and years. The Harry Potter books with continue to make money long after the movies do. But I digress. I think you’re completely right in hoping this new book a “literary turd”. They couldn’t make it any more obvious that they’re hyping this book simply to make another buck and as such I have no desire to read it. Harry Potter started out as a very unassuming children’s book that blew up (I would wager) by word of mouth more than any marketing campaign. Lightning doesn’t strike twice. @Jeyna I agree; I find it hard to adhere to the maxim about judging books by covers. To a certain extent they set the tone, however much that tone may be changed once you open up and start reading. I really enjoy Jane Austen but the editions I own are Dover Thrift. God bless Dover Thrift, they make classics available when I can afford no other, but a few of Austen’s covers look like they’re swaths of hideous upholstery or wallpaper. 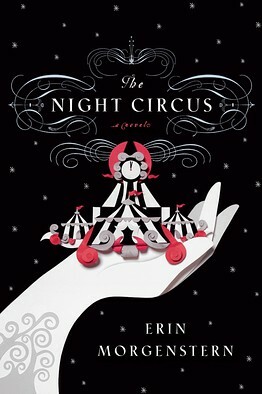 The Night Circus’ cover reminds me of an edition of one of the Bronte’s novels a year or so ago. It was dark and eerie, with the same simple, delicous black/red/white contrast you see above. I think they were trying to edge into the Twilight market. @Kurtis Absolutely. Potter’s popularity’s growth was organic, as it should have been. I would argue the series would have ended much stronger had there not been so much hype and hoopla. That said, I will continue reading the books with pleasure, while I’ve never watched past the fourth movie. The “next Harry Potter” won’t be Harry Potter, and as such there’s no use calling it such. And if it’s a cynical business venture instead of a sincere, impassioned artistic endeavour, it really won’t be the “next Harry Potter”. Something grand will blow up and be big, maybe as big as Rowling’s series. In the meantime, I will continue to enjoy a number of wonderful books that have never met the fanfare of Potter or The Night Circus. Hype and fame do not a good book make. It’s not like there’s a vacuum between Potter and whatever monetary explosion comes next. There are so many good books, people!